White Wolf Resort was established many years ago, it was originally started in the 50's at the end of the gold mining era in Geraldton. Over the years it has been renovated and upgraded to keep with the changing times. The cottages are all modernized fully furnished, and overlook Hutchison Lake. Beautiful sunsets, sunrises, as well as the dancing of the northern lights are seen, directly from your living room windows when the time is right. 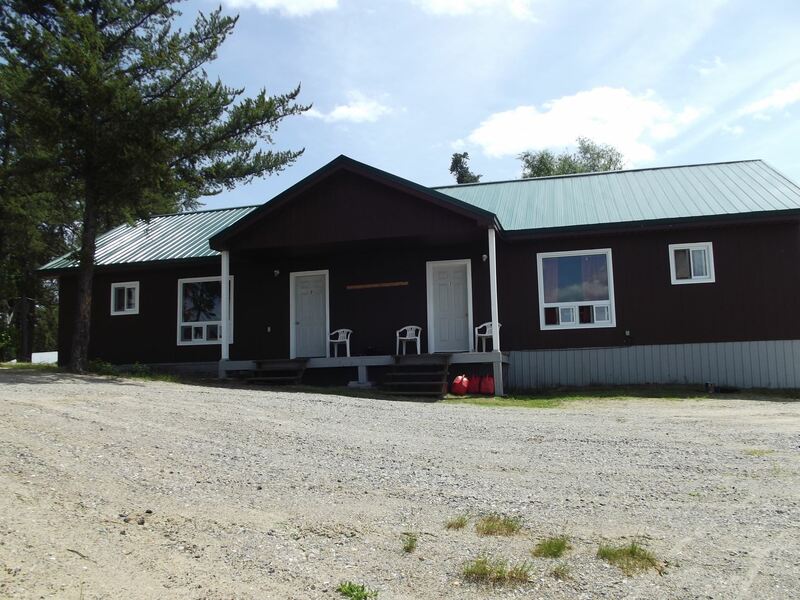 Every cottage is fully winterized, and electrically heated. White Wolf is the only winterized Resort in the Greenstone area. We also offer fully service RV sites, and tenting areas in the summer months. White Wolf is situated on 12 acres of waterfront property serene and peaceful yet close enough to enjoy the town of Geraldton's shopping, and entertainment convenience. Feel like a Piza just phone and order from a variety of restaurants who are happy to deliver. Want to cook and enjoy your own meals, our cottage kitchens are fully equiped for you do do just that. for you. Cottages are cleaned on a weekly basis or arrangements can be made for different times. Fish Hutchison Lake or travel only minutes away to over twelve area lakes. Miles of networking logging roads are also close by, go exploring and enjoy nature in its natural habitat. Get a nice fish catch, enjoy our well kept screened in fish cleaning station. 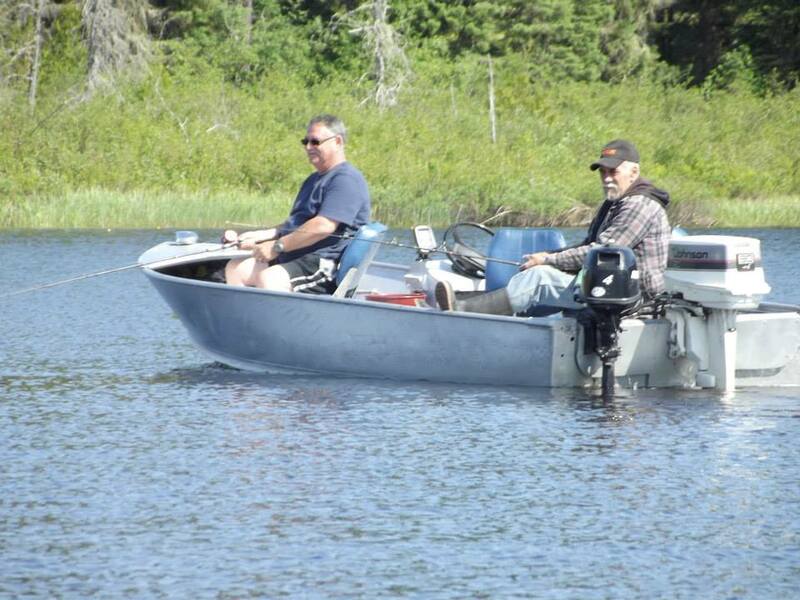 In the fall many hunters enjoy what we have to offer during bird, bear or moose seasons. Moose hanging hooks available on site. We not only cater to the vacationing tourist, but also White Wolf's location offers the working persons a home away from home. 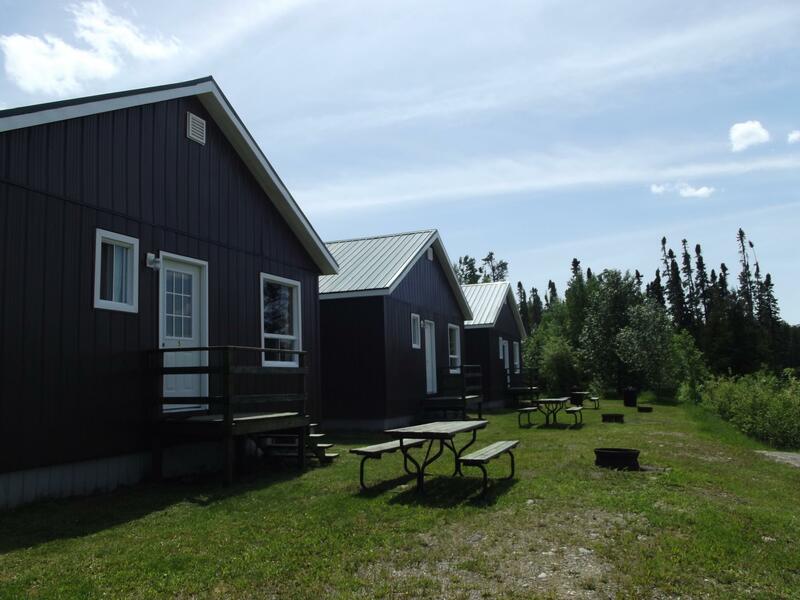 Many businesses, government, and corporate workers find our cottages the perfect setting for long stays when working in the Greenstone area. Telephone, Satellite TV, Wireless High Speed Internet are all available. Four of the three bedroom cottages, from the lake view. All cottages are fully furnished with towels, and linens. The kitchens are fully furnished with all pots pans, dishes and utensils. Bell satelite TV and Wi fi available as well. 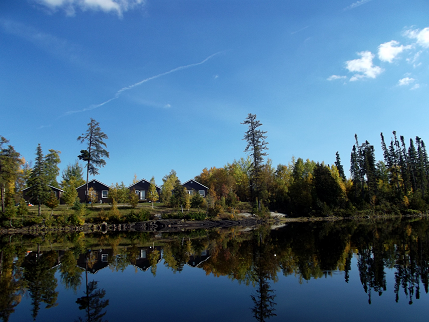 Picnic tables and fire rings are provided,all cottages are air-conditioned. These units have single beds two in each bedroom. Park your boat right in front of your cottage. This is the two bedroom duplex unit. Very popular with our large family and hunting groups. Each side is complete on its own, there is a centre door that alllows acess to both units. You have four bedrooms two kitchens and living rooms. Comes equiped with everything the three bedrooms have. Beautifull place and great people. Look forward to coming every year. Been staying here for years. Great family run business. Could not believe how beautiful it was, so clean and well kept up, I will be coming again.